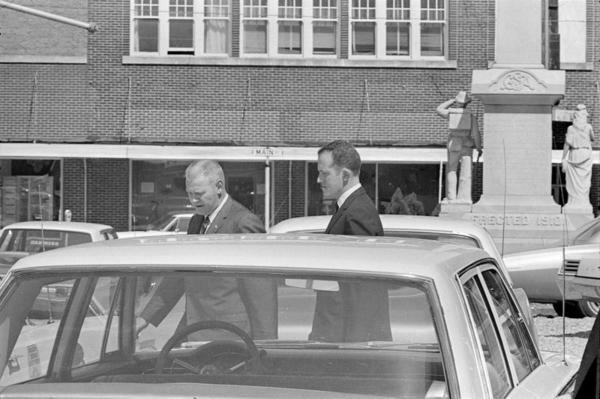 Description: March 1968, Forrest County Circuit Court (Hattiesburg, Miss.) trial of Cecil V. Sessum for the January 1966 murder of Vernon Dahmer and the firebombing of his house and store. Billy Roy Pitts (right) escorted by U.S. deputy marshal into courthouse to testify against Sessum.